Good place to be ... I lived in this hotel 15 days and everything went well the staff were welcoming and discreet but always present. 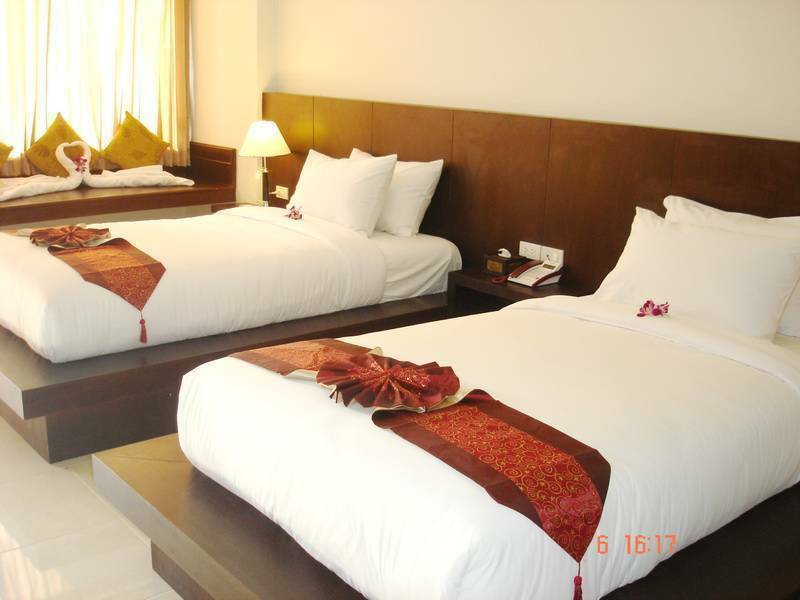 the room is spacious and well equipped with all hi-fi equipment. SM Resort offer TV: Plasma 42', a set of PC Computer with internet, Wi-Fi, and printer in all guestrooms. We offer the high technologies to connect internet with Wi-Fi and cable line between TV and Computer. We offer high speech internet fiber optic 10M/10M. So, you can see the Movies, News, Sport, Football, MSN, Yahoo, and Google on internet at the computer in the room. You can transfer multimedia over aboard in the real time. For example you can speak and see your family in home from the guestrooms at SM Resort. That means you will not feel lonely because you can contact anyone around the world!!! You can send and receive your works between your company and the guestrooms at SM Resort. That means you can have the holiday while working also!!! Our reception, bar, snooker, and room service are 24 hours. Our maid is diary make up the room from 8. 00 a. m. – 4. 00 p. m.
Our policy is NO CHARGE LADY/JOINER, who is staying overnight with guest in the room. We offer Thai Food, European Food, Italian Food, Western Food, and Chinese Food at SM Bar & Restaurant 24 hrs. We offer the health care to you, such as Thai massage, Foot massage, Oil massage, Facial massage, Fish spa, Hair salon, Beauty salon, and Hair spa diary from 10. 00 a. m. to 10. 00 p. m., at SM Massage Spa & Beauty Salon. We have the security camera record 24 hours at the hotel lobby, at the reception counter, at the safety deposit boxes, and at the restaurant. We offer the outdoor swimming pool in Bali Style. It is so beautiful, and good place to relax, rest, meeting, and sunbath. SM Resort is near Patong-Karon Mountain. So, it is so beautiful, quiet, health, and fresh air. 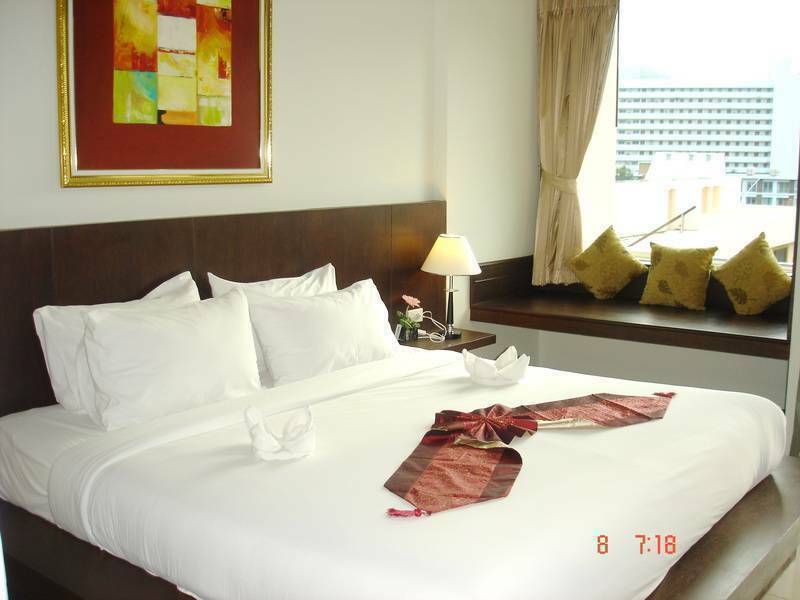 We offer the garden and terrace on the 6th floor with Patong-Karon Mountain View. We offer motorbike rentals, car/jeep rental, bar, restaurant, beauty salon, massage and spa, fax, telephone, money exchange, tour information, laundry, and taxi car. We offer the special automatic motorbike rental for THB. 250 - 150 per day. There are 18 new YAMAHA, and 4 SUZUKI automatic motorbikes. We have the car/van transfer between Phuket airports to Lamai Hotel 24 hours. But we charge for THB. 800 /car, and for THB. 1, 2000 /van. 1. Guests have to make cancelled or changed reservation at least 2 days before arrival date. 2. Late cancelled or case of NO SHOW, we have to charge for 1 night. 3. Children age under 12 years old can stay at their parent for free. 4. Extra breakfast is charged for THB. 300/person. 5. 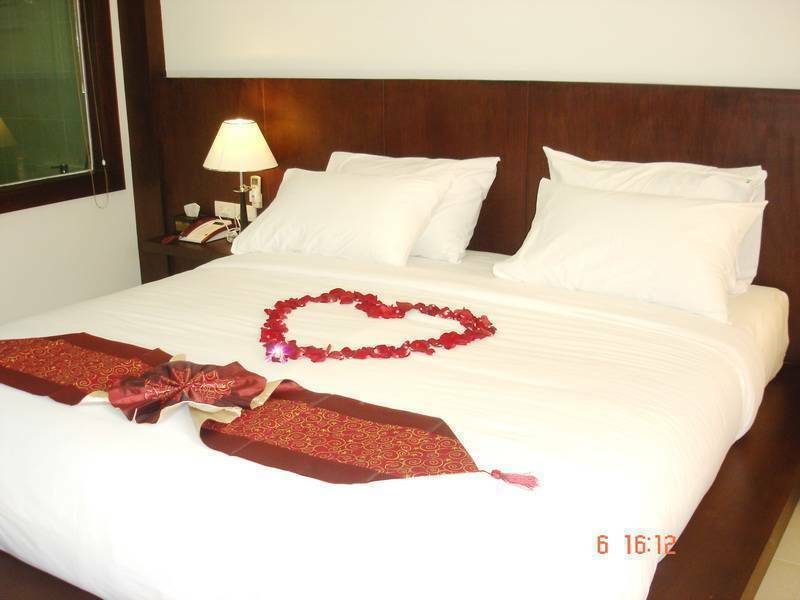 Extra bed is charged for THB. 500/person. 6. All guests have to show and be copied their passport for check-in at the resort. 1. 6km to the banks 1. 8km to Patong Hospital 1. 8km to Patong Post Office 1. 9km to Patong Fire Station 1. 9km to Patong Police Station 24-hr front desk Airport pickup Bar/lounge Beauty salon Breakfast included Car rental Currency exchange Elevator/lift Express checkout Gardens Group services Hot tub Internet access Laundry/valet service Linen included Luggage carriers Meal plans Newspapers/magazines No Smoking No curfew Open 24 Hours Pets not allowed Pool (outdoor) Restaurant on site Room service SM Resort is 1. 5km to Jungceylon Shopping Center Safe deposit box Smoking not permitted Smoking permitted Spa Taxi service Tour/sightseeing assistance WIFI (free) and 2. 0km to Patong Municipality Office. Accommodation: SM Resort has 50 rooms with air-con, private bathroom, bath tub, bath robe, hot shower, balcony, TV plasma 42”, a set of PC Computer and a printer, DVD player, Cable TV with 70 channels, refrigerator, mini bar, hair dryer, coffee/tea facilities, hot pot, beach towels, high speech internet 10M/10M, Wi-Fi, and a printer in all rooms for free using!!! The furnishings in all rooms are made from the teak wood in Thai Traditional style. So, our rooms are so beautiful. SM Resort has 50 rooms with 3 types of room. There are 39 Deluxe rooms, 8 Superior rooms, and 3 Sweet Suite rooms. 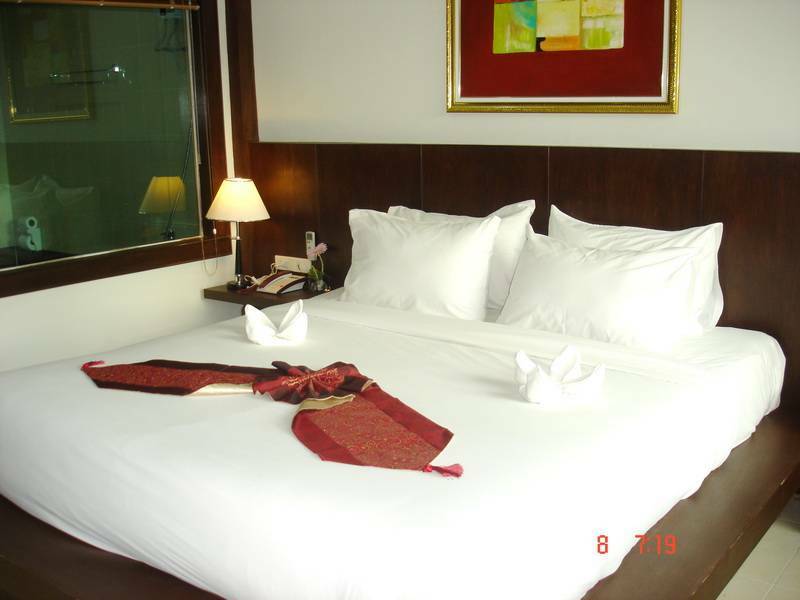 Deluxe room is size 35 s. q. m., with Double bed (A king size bed, 6. 0 feet), TV plasma 42”, PC computer, high speech internet 10M/10M, Wi-Fi, and a printer for free using. Deluxe room is not included breakfast. 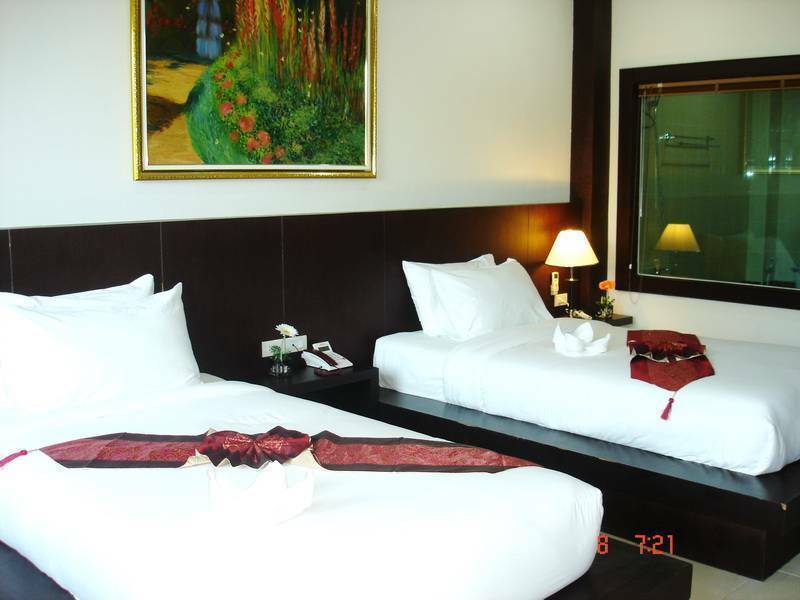 Superior room is size 35 s. q. m., with Twin bed (2 small beds, 3. 5 feet each), TV plasma 42”, PC computer, high speech internet 10M/10M, Wi-Fi, and a printer for free using. Superior room is not included breakfast. Sweet suite room is size 40 s. q. m., breakfast included, Welcome Champagne Drink (A bottle), minimum 2 nights staying, TV plasma 42", PC computer, high speech inter 10M/10M, Wi-Fi, printer for free using. Sweet suite room is at on the 6th floor with garden and terrace. It is the good place for relax, rest, and sunbath. SM Resort is the 5th hotel of Lamai Group in Patong beach, Phuket. SM Resort was opened on November, 2009. Lamai Group has got 5 hotels. 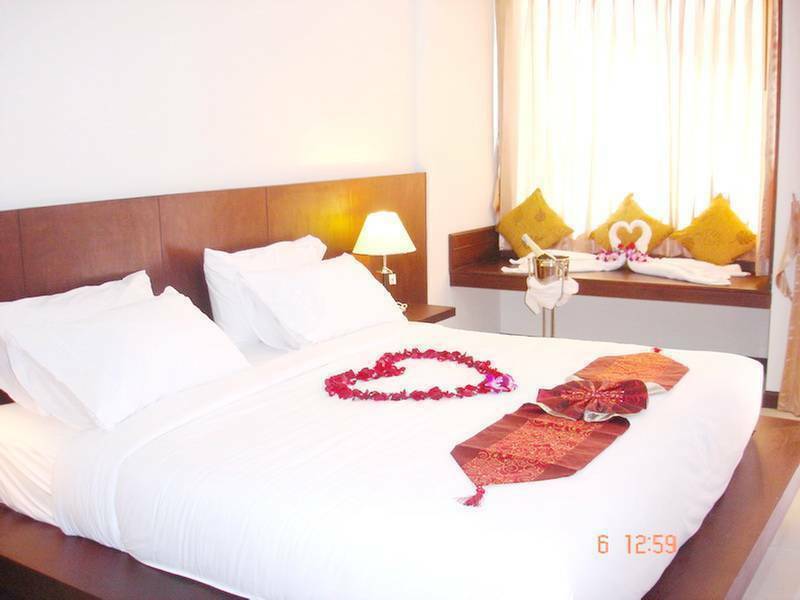 There are Lamai Inn, Lamai Hotel, Lamai Apartment, Lamai Guesthouse, and SM Resort. SM Resort is 100m to Lamai Guesthouse, 1. 3km to Lamai Inn, 1. 4km to Lamai Hotel, and 2. 0km to Lamai Apartment. Our restaurant service 24 hours with variable menu in Thai Food, Italian Food, European Food, Western Food, and Chinese Food. They are so delicious…Please don’t miss to try them…. Our restaurant service 24 hours with variable menu in Thai Food, Italian Food, European Food, Western Food, and Chinese Food. 1. Deposit 8% will be charged on the booking date, and is non-refundable. 2. Balance 92% of the total cost will pay directly to the hotel on arrival. 3. If cancelled up to 2 days before date of arrival, 8% deposit will be charged. 4. If cancelled later or in case of no-show, the first night will be charged. SM Resort is 1. 5km to Jungceylon Shopping Center, 1. 6km to the banks, 1. 8km to Patong Post Office, 1. 8km to Patong Hospital, 1. 9km to Patong Police Station, 1. 9km to Patong Fire Station, and 2. 0km to Patong Municipality Office. SM Resort is at 20/42 Sirirat Road, Patong beach, Phuket 83150 Thailand. SM Resort is 16. 0km to Phuket Bus Station, 16. 5km to Phuket Pier, and 40. 0km to Phuket Airport.